Here's the second cartoon in the series about famous computer people. This time it's Jon maddog Hall. 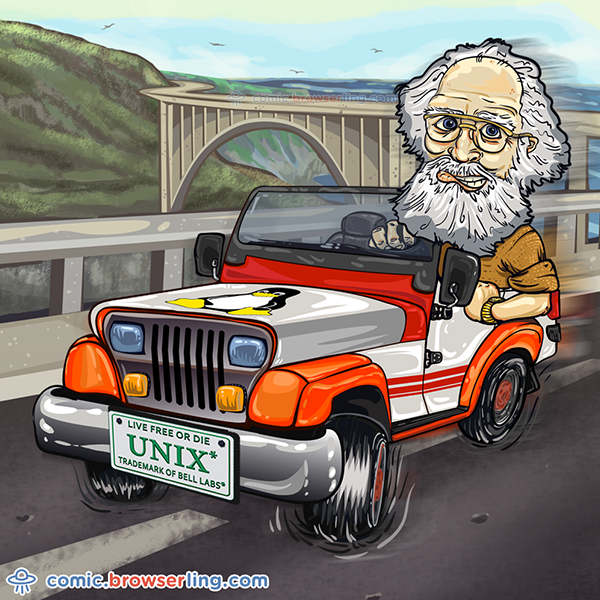 Here he is, enjoying life in his 1989 Jeep Wrangler with the famous license plate UNIX - LIVE FREE OR DIE.